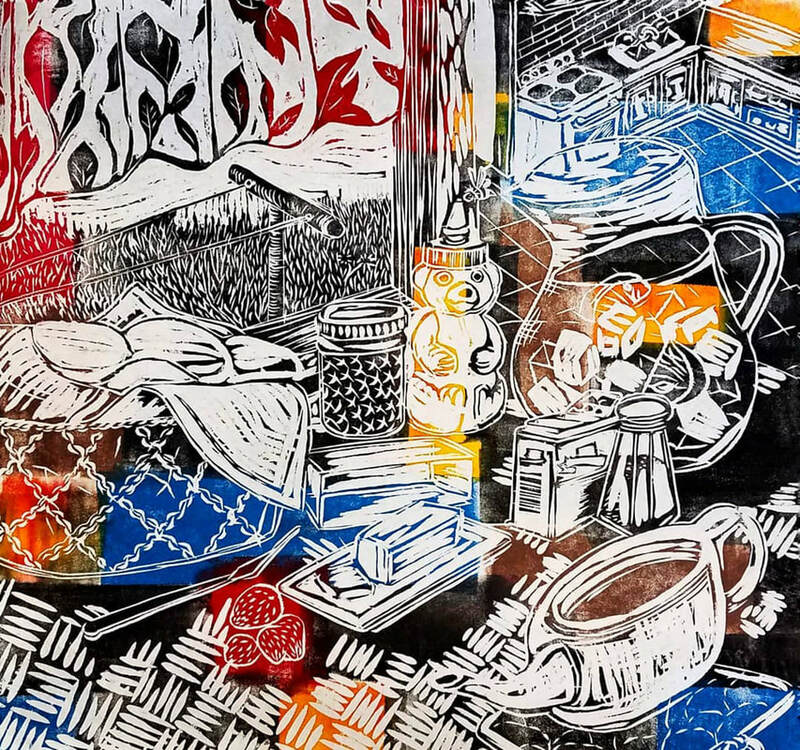 This collection includes a variety of works that include both traditional and modern digital printmaking techniques. 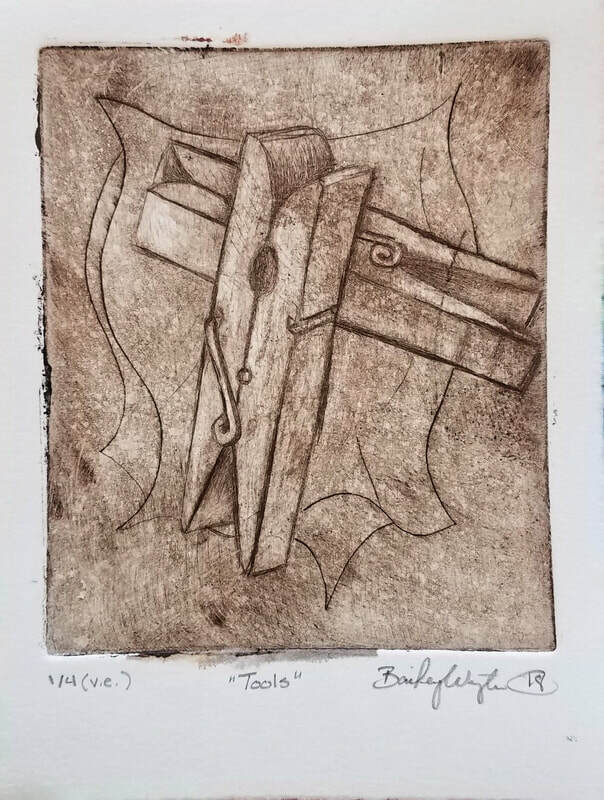 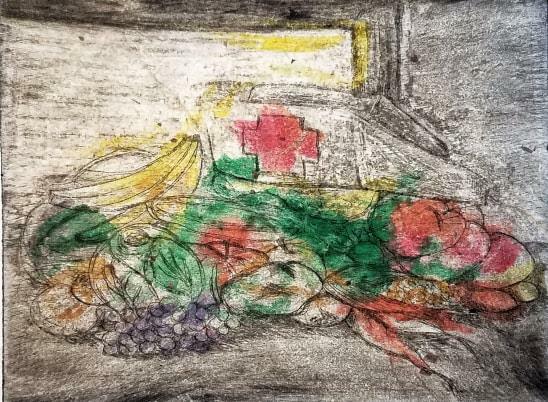 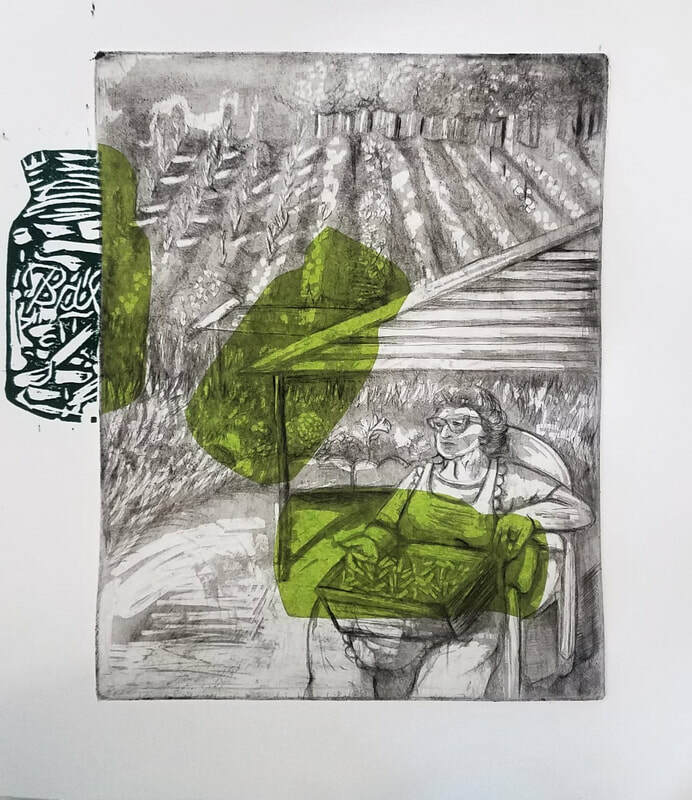 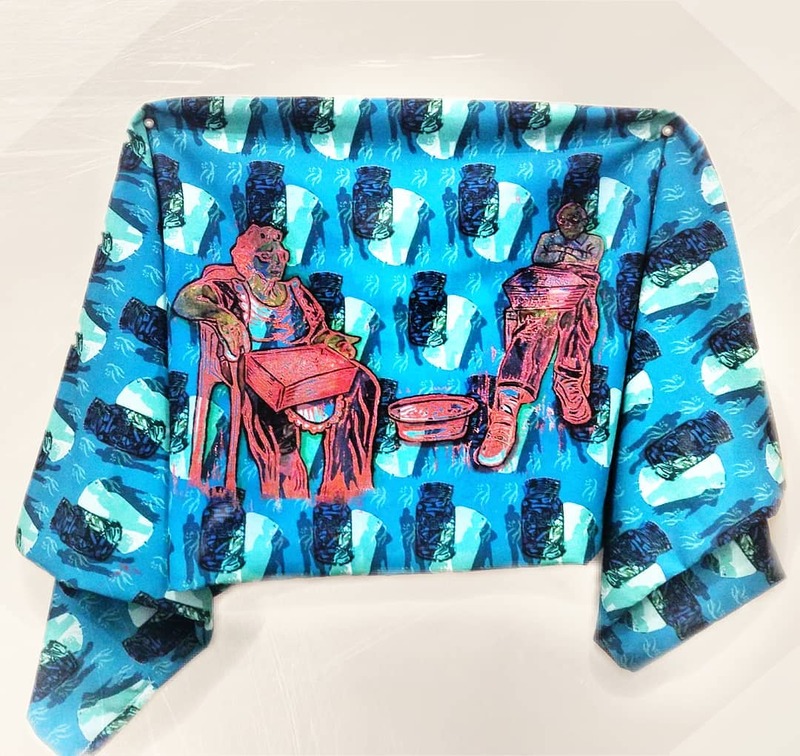 Through combining these methods, combining the old with the new, I am taking both a psychological AND physical approach to my subject matter which explores connections between my southern familial traditions and my modern values. 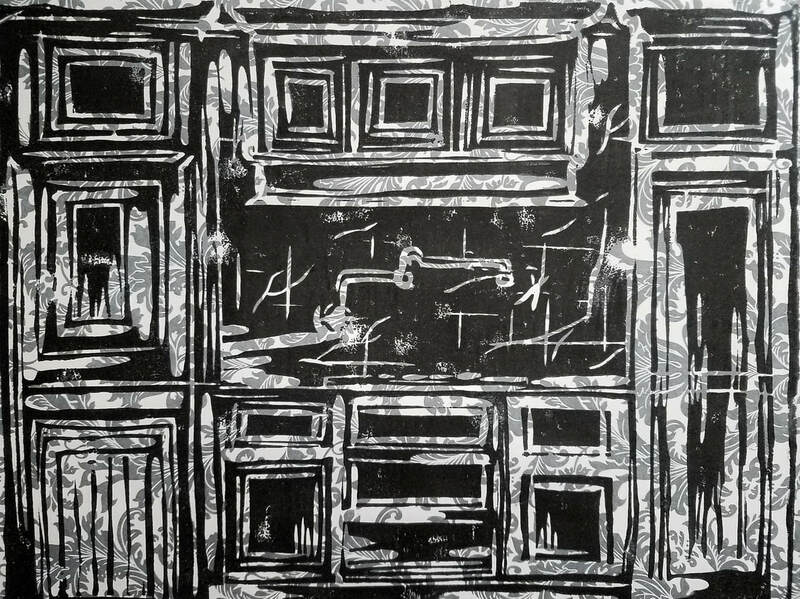 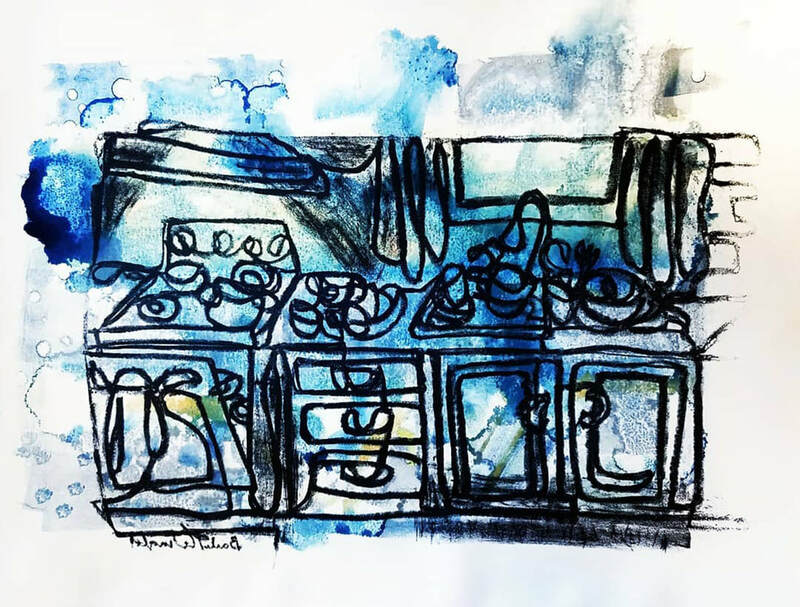 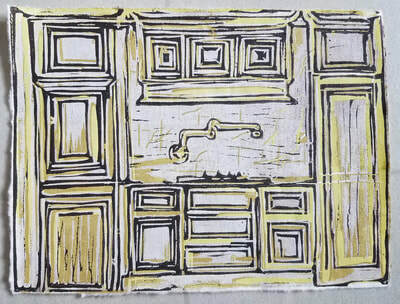 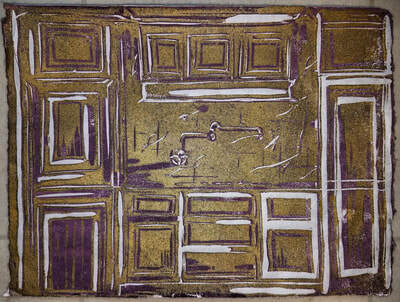 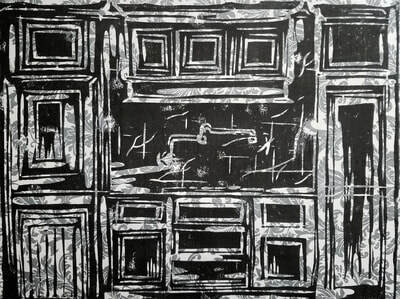 "In the Kitchen," 14" x 18" Single-Line Lithograph over Monoprint.